Heat (or thermal) power stations (HPS) and power plants are the major polluters of our environment, discharging into the atmosphere the basic product of carbon fuel combustion, CO2. It is this very gas that accounts for the greenhouse effect causing the global climate warm-up on our planet. A natural solution of the problem of reducing carbon dioxide discharge into the atmosphere lies in power saving, thus reducing the amount of the fuel burnt. This approach can be justified from any standpoint, both economically and ecologically. The ideal way of solving the problem would be to completely give up burning carbon-containing fuel, such as coal, petroleum products, and other power resources of organic nature. The article dwells upon various technological ways aimed at practically solving the problem: the Kalina cycle, magneto-hydrodynamic (MHD) resonance, and employing the heat of environment in the thermodynamic cycle of the HPS. 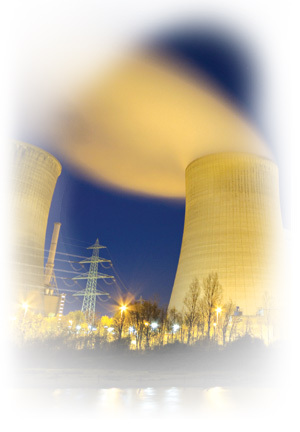 Major polluters of main environment are heat power stations (HPS) and power plants. The international conference on ecology held in Kyoto in December 1997, in which 170 countries took part, proposed as a solution of the vital problem of preventing this planet's thermal death to reduce by 5.2 percent (in reference to the level of the year of 1990) the discharge of harmful gases and aerosols, and heat into the atmosphere. It should be added here that coal-fueled HPS, in addition to ashes and smoke, discharge into the environment a complete spectrum of hazardous chemical elements, including uranium and thorium. In the autumn of 1999 the next conference of the kind stated that no positive changes had taken place in the world's environmental situation during the preceding two years, and that the governments of the developed countries had not taken any effective steps to improve the situation. A similar conclusion was arrived at by the International Conference held in 2001. It is common knowledge that the product of oxidizing carbon ¨C the principal component of any burning fuel of organic nature ¨C is carbon dioxide, or carbonic acid. It looks quite natural trying to solve the problem of reducing the discharge of carbonic acid by heat power stations and power plants through reducing the amount of carbon-containing fuel burnt while retaining or even increasing the amount of electric power produced. Since the ratio of the power produced to the amount of the fuel consumed is conventionally termed as the efficiency, an obvious way to solving the above problem lies through raising the efficiency of HPS and power plants. This approach can be justified from any standpoint, both economically and ecologically. It is especially urgent if we take into consideration the fact that in addition to carbonic acid the HPS discharge into the environment a great assortment of hazardous gases, aerosols, and heat. History of civilization and the progress in science and technology are closely associated with the growth of power consumption. A direct consequence of the developing heat power engineering based on combustion of carbon-containing fuel and of the growing amount of electric power produced is the increasing consumption of fuel-energy resources (FER). Output of electric power in the world reached, in 1985, 9643000 §®Wh , having resulted in consumption of 751 million tons of coal, 615 million tons of oil, and 686 million tons of gas. It should be noted that annual production of electric power resulted in consumption, on the average, of 2 gigatons of conventional fuel . While in 1981 all the fuel-fired plants in the USSR  discharged into the atmosphere (million tons): §³§°2 - 200; SO2 - 150; hydrocarbons - 50; aerosols - 250, the share of heat-and-power engineering in said polluting amounted to 50% for SO2, 30-35% for NOx, and 35% for aerosols. Besides, the heat-and-power engineering consumed up to 1% of the atmospheric oxygen, replacing it by CO2, which increased the greenhouse effect. Taking into account the fact that from 1991 till 2002 the technology of electric power production in the FSU countries had not been improved, there is no reason to believe, that for the past 13 years the environmental characteristics of the operating fuel-fired plants had got improved. And this assertion holds true in relation to all the heat power stations on this planet, which resulted in working out and adapting the Kyoto protocol of 1997. To be more objective in this assertion we shall now turn to the data published by the GAO (General Accounting Office, USA) on June 20, 2002 . Electric power stations of the USA that began operating before 1972 discharged in 2000 59% of the sulfur dioxide, 47% of the nitrogen oxides, and 42% of the carbon dioxide of the total discharge by the fuel-fired plants in 2000, while having produced only 42% of the total electric power. It is worth noting that the discharge of SO2 and NOx by the newer stations is lower than by the older ones. Discharge of CO2 is however, comparable, which can be explained by the vary nature of the system employed for producing heat energy. Since it is carbon-containing fuel that is burnt, the product of oxidizing the carbon turns out to be CO2. It can be stated that for the last 30 years there have not been found any radical ways of reducing the discharges of CO2 and heat ¨C the principal causes of the build-up of greenhouse effect on the planet and a global climate warm-up. Raising the efficiency of HPS, in combination with steps aimed at reducing solid and gaseous discharges through improving the technology of combustion process, design of furnaces, dust collectors, and gas traps, can make these stations look much more promising and make a real step towards complying with the requirements of the Kyoto protocol. by producing a constant amount of power (W) while consuming reduced amount of fuel (Gf) . The subscripts 35, (35+i) mean that, as a base for numerical examples, we take an efficiency of 35%. The equation (2) can be read as follows: a relative decrease in the fuel consumption per unit of the power produced by the station is proportional to a relative increase in its efficiency. So, an increase in the efficiency of an HPS from 35% up to 45% could result in a decrease in fuel consumption of 45/35 = 1.29 times, or by 29%. Taking into account the linear character of the relative decrease in fuel consumption as related to the efficiency, it may be argued that a 1% increase in efficiency within a range of efficiency values of 35% and over will result in a 2.9% decrease in fuel consumption. where G§àx, Gsd represent the weight of the oxidable constituent of the coal, and the weight of the solid fuel, respectively; ¦Ç is the efficiency of the HPS; and Hr is the relative calorific value of the used fuel. If Hr = 1, then 100*[1 ¨C G§àx/Gsd] = Ash,%, which represents the ash content of the solid fuel. It should be mentioned that the calorific value of the equivalent fuel is taken to be 7000 kcal/kg, and the ash content of some coals can reach 50%. The equation (3) is nonlinear relative to ¦Ç. And with the growth of ¦Ç the absolute value of Dsd is decreased. Let us estimate the decrease in solids discharge with the efficiency increased from 35% up to 45%. (Dsd)35/(Dsd)45 = 45/35 = 1.29. Thus, a 1% increase in efficiency results in reducing discharge of solids, on the average, by 2.9%. For the range of efficiency rise from 40% up to 50% that will make (Dsd)40/(Dsd)50 = 50/40 = 1.25, or 2.5 % for 1% of efficiency rise. It is this chemical reaction that is responsible for the greenhouse effect, threatening to turn the planet Earth into another planet Venus. Besides CO2, flue gases contain SO2 and NOx. The sulphur dioxide results from the sulphur compounds present in natural fuel, and the oxygen of the air. I mention these well-known facts to support once more the main thesis of this paper: the less fuel is burnt, the less harmful gases is discharged into the atmosphere. The nitrogen oxides result from the nitrogen of the air (75.5% by weight) and the high temperature in the boiler furnace, at which these oxides are synthesized. So, discharge of NOx can be drastically reduced just by lowering the temperature in the furnace. here Cfl is the weight of carbon contained in one ton of fuel. The equation was derived by approximation of the appropriate data from stoichiometric calculations based on the assumption that the reaction (4) yield is 100%. Multiple correlation coefficient of the equation (5) is R2 = 1. There is one more assumption: coal ash content is taken to be 50%. The number of [-7.784¡Á10-4/(Cfl¡Á¦Ç)] is neglected in view of its insignificant magnitude.